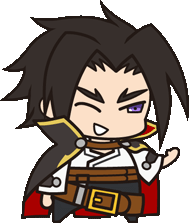 Welcome to the Unofficial BlazBlue Wiki! This wiki exists to help gather all information about BlazBlue and XBlaze and compile it in one compact location. We use the official localization and have explicit permission from translators and dataminers to use their information. Most of the images you will see in this wiki have been ripped by our own users, including those for XBlaze. We really hope you can stay with us and make this a great place for the community to thrive; feel free to apply for an account and contribute. We also have a Discord to help coordinate our edits. If you have an account, please join! Consult the User's Guide for information on using the wiki software. If you are having trouble setting up your account or if you have not received a confirmation email, you may ask for help in our Discord.